...one of the best-built RTX 2060s we're likely to see, but it remains difficult to recommend due to the price proximity of the more powerful RTX 2070. For those awaiting a more affordable GeForce RTX graphics card, the newly announced RTX 2060 ticks a lot of the right boxes. Available for £329 in Founders Edition guise, Nvidia's latest mid-range offering serves as a tantalising destination for owners of older x60 cards wanting to upgrade to the latest generation. The GPU isn't without fault - some may question the longevity of a card carrying just 6GB of memory - but we've liked what we've seen so far, and of course there's hope that ray tracing and DLSS will eventually sweeten the deal. RTX 2060 is primed to be a popular choice, but let's get back to the original question; Founders Edition or custom cooler? Asus has proven that partner cards can be faster, quieter and cooler than reference, but at this end of the market pricing is key, and the £455 ROG Strix OC is playing at a price point in which RTX 2060 can't compete. Bottom line: Asus may have produced one of the best-built RTX 2060s we're likely to see, but it remains difficult to recommend due to the price proximity of the more powerful RTX 2070. 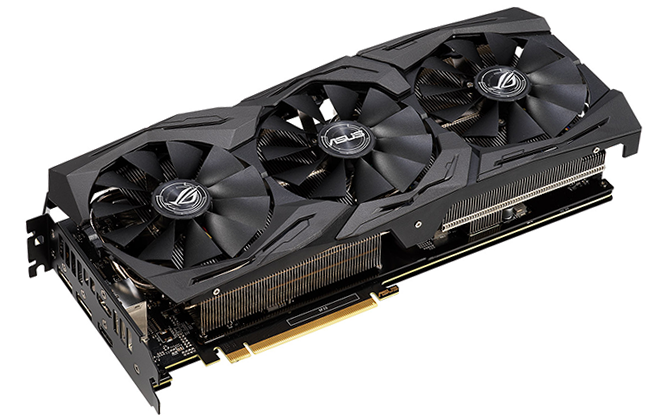 The Asus ROG Strix GeForce RTX 2060 OC graphics card is available to purchase from Scan Computers. Nice card, chips away heavily at the value proposition of a 2070, might as well save money with a 2060 or get more cash and leapfrog the 2070 for a 2080. But still, none of that matters because the headline features of this card aren't tested. No BF:5 or FFXV for Ray Tracing or DLSS tests. £455 for a **60 card…wow. While I agree £460 for a XX60 card is questionnable, they priced it where they can, no competetion from AMD. I must be looking at a different review then, the 2060 shown in the review is pretty much on par with the cheaper Vega 64 cards (yes that's right, the Vega 64 is cheaper than this card). Ignoring that part completely though for a second, this card quite simply doesn't justify the 27% price increase over the Founders Edition 2060, especially when you can get the 2070 for a nominal bump in price.